Language Systems Lifestyle! : US Open of Surfing!! Every summer, student from our OC campus visit Huntington Beach for the US Open of Surfing. This is the oldest and biggest surfing competition in the United States. 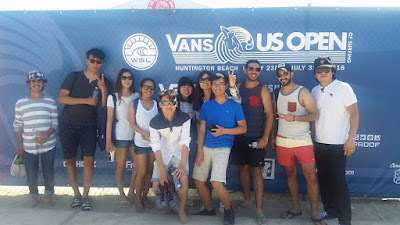 For the past few years it has been sponsored by Vans, and the two together make up a very good example of true California beach culture. 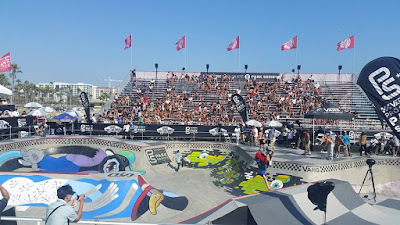 This event is not just about surfing, this year our students seemed pretty blown away at the insane skateboarding that we saw. It is truly amazing to see how crazy skaters can get these days. 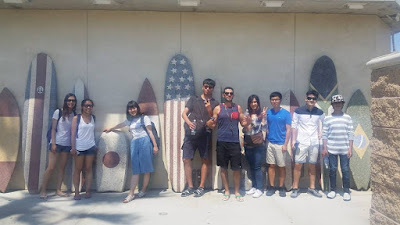 The weather was perfect, and the surfing and skating made the day a perfect taste of California beach culture. 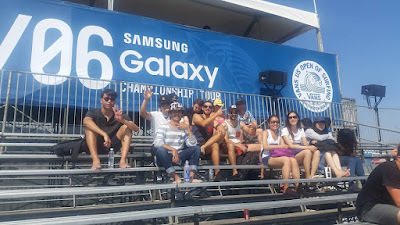 This event will wrap up on Sunday July 31 with the finals of the men's and women's surfing competion. If you are in Southern California this weekend, get down to Huntington Beach!